Former Tour de France winner Stephen Roche is adamant there is no comparison between cycling during Lance Armstrong’s time and today. Texan Armstrong won seven Tours between 1999 and 2005 but was subsequently stripped of all titles after facts surrounding his doping regime emerged. Questions have remained about the use of banned substances in the sport and earlier this week Team Sky released performance data on current yellow jersey holder Chris Froome as they seek to put to bed doping suspicions. Froome's humiliation of his rivals in the first mountain stage raised eyebrows and a French doctor of physiology suggested on French TV that the Briton's estimated power output was only comparable with riders who had relied on banned substances in the past. However, Team Sky responded by saying that that assessment was based on an inaccurate estimate of Froome's weight. Irishman Roche, the 1987 champion whose son Nicolas rides with Team Sky, believes that structures are now in place that naturally dissuade riders from cheating. He admits that, in the wake of the Armstrong scandal, where many journalists were fooled by the American's protestations of innocence, people have a right to be cynical about the sport. “I’m number one to say that I gave Armstrong the benefit of the doubt, and of course, I fell on my face,” Roche told RTÉ Radio 1's Today with Sean O'Rourke. “But at the same time a lot has happened since then: the biological passport, out-of-competition controls, which... you can get around them, okay. "There’s an awful lot of data there that will catch you some day if you are trying to cheat"
“But the young generation today, who are 20-30 years old, they were only 15-20 when Armstrong’s problems all arose. “They’ve been educated so that you don’t cheat. The controls are in place. “The biological passports started off eight years ago so there’s an awful lot of data there that will catch you some day if you are trying to cheat. Nicolas, who finished seventh in stage 17, had been a co-leader of Ag2r-La Mondiale when he rode for the French team but has to be content with a domestique role with Team Sky, whose sole target is to win the Tour with Froome. Roche Sr says that’s part of his son’s job and that his reward will come later in the year. “He’s getting on very well. 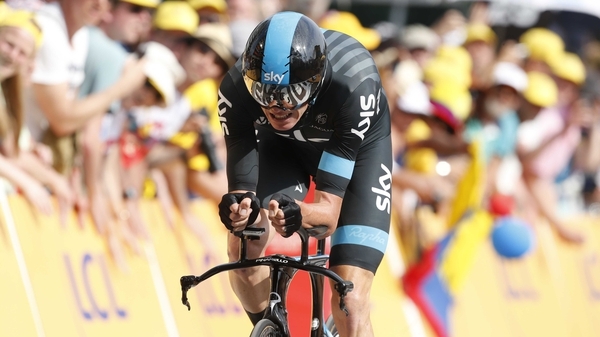 He’s got a job to do,” said Roche. “It’s difficult for him because he’s like a lion in a cage because he’s used to being up there, being in the final climbs and everything else. "But this year he has been told, ‘Listen, you’ve a job to do from X kilometre to Y kilometre’ and unfortunately it’s not in the closing miles of the stage. “But he’s getting with it. The main thing is that Chris Froome wins the Tour this year.